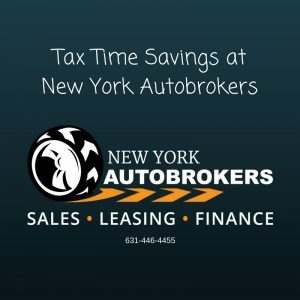 Tax Time Savings at New York Autobrokers! 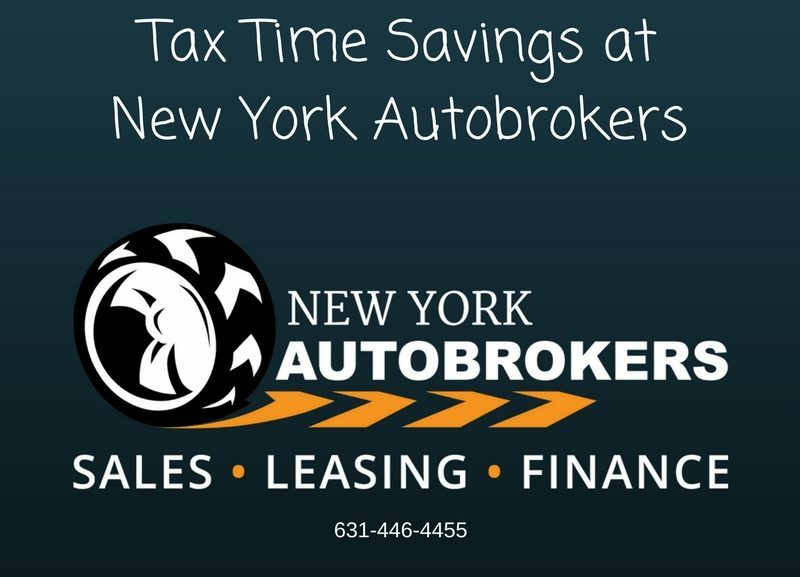 New York Autobrokers > Blog > Blog > Auto Brokers > Tax Time Savings at New York Autobrokers! If you want to get behind the wheel of a new-to-you vehicle, but haven’t had the funds for it, tax season is the perfect time to get a great pre-owned vehicle. Take advantage of your tax return by putting it towards the down payment on the perfect vehicle to meet your needs. Using your tax return towards a long-term investment is a positive way to make the most of your money. Putting your money towards a pre-owned vehicle is an affordable way to make a positive investment. Purchasing a new car may be nice for some, but the value of these vehicles face a lot of depreciation when driven off the lot. If you’re interested in a new vehicle, consider a slightly older model of that type of car. This vehicle will better maintain its value over time. Using your tax refund to put a down payment on a pre-owned car is also a good idea because you will have lower long-term costs down the road. The greater your down payment, the smaller your monthly payments will be. Save yourself some money in the long run by distributing more money at the time of purchase via your tax return. The final reason why you should consider purchasing a used vehicle this tax season is because pre-owned cars are notably reliable. Modern vehicles last longer than the cars, trucks and SUVS of the past. A pre-owned vehicle purchase is one that will last you years. The average vehicle on the road is 11.5 years old, according to IHS Automotive, and this number is only expected to grow. If you’re interested in gaining more information about purchasing a new-to-you car with your tax return, check us out at New York Autobrokers. Give us a call at 631-446-4455 to learn more, or stop by 320 E Main Street today!